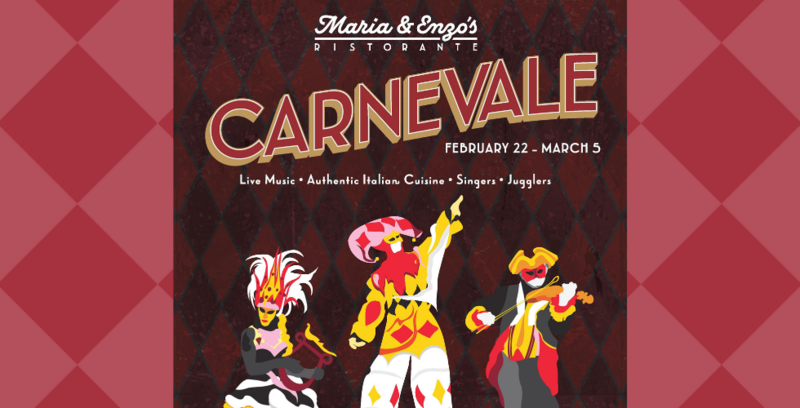 The traditional Italian winter festival returns to Maria & Enzo’s later this month. Carnevale, commonly known as Mardi Gras outside of Italy, is a spectacular event complete with costumes, culinary delights, and plenty of celebration. This year’s event will include nightly live entertainment, including singers, stilt walkers, mimes, jugglers, face painters, and folk dancers – as well as the restaurant’s signature Italian offerings. Reservations are recommended to secure your table during this limited-time festival, which runs from Feb. 22 – March 5. To learn more, visit MariaAndEnzos.com, or call (407) 560-8466 for reservations.